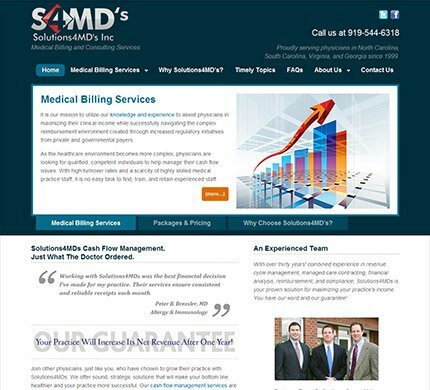 Solutions4MDs wanted to update their old site with a quality CMS and together we choose WordPress. Solutions4MDs provides high quality billing and consulting services to physician practices in central and eastern North Carolina. Jim gets the job done without you having to worry in the least bit. Jim is the best contractor I have ever worked with.